The expansion of Anglo-Saxon power meant that the British Isles was to be the home of four clear and distinct cultural identities. These separate identities were to survive colonization by the Norman French after 1066. In fact, these identities remain essentially intact today. 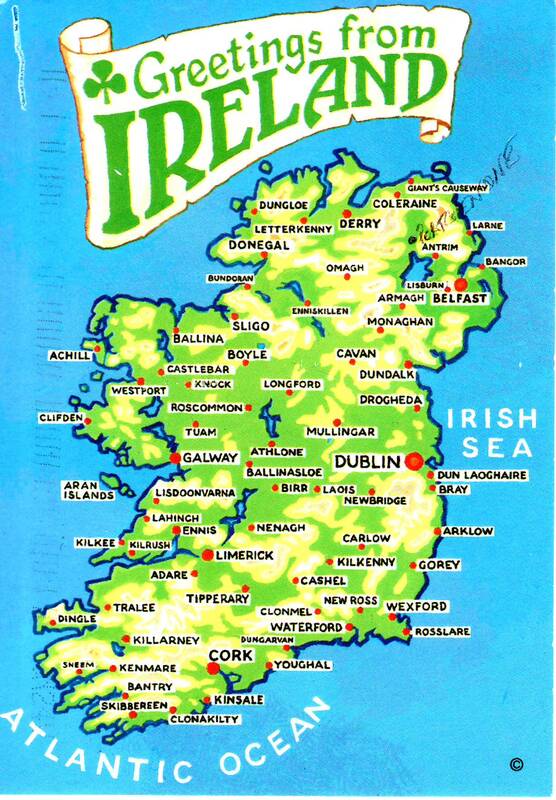 Ireland is the home of the ancient Gaels (Goedelic Celtic-speaking). The Irish are an ancient people and the ancient Gaelic language originated there and still survives. Neither the Romans nor the Anglo-Saxons settled in Ireland. However, the Norman French planted English speakers there in the late twelfth century. From the sixteenth century into the twentieth century, Catholic Ireland was subjected to astonishing persecution and cruelty by English-speaking Protestant British. English was established in Ireland as a result of this tyranny. Wales is where, incredibly, the ancient Brittonic Celtic language survives and flourishes. The Romans did settle in Wales, but the Anglo-Saxons did not. Wales was settled by the Romans, but kept the Anglo-Saxons out. Ethnically, the Welsh are Romano-Britons. The ancient Brittonic Celtic language is thriving in Wales. Welsh is by far the most successful of the ancient Celtic languages. England is where the Germanic tribes like the Angles, Saxons, and Jutes spread after the Romans left Britain at the beginning of the fifth century AD. England is where the Germanic hybrid language of English first developed. Ethnically, the English are more Germanic than the other countries of the British Isles. There is a stronger Viking influence in the northeast. Scotland is the northern part that was not settled by the Romans nor by the Anglo-Saxons but was subject to repeated invasions and colonization by the Irish Gaels from the west and by the Vikings from the northeast. Scotland developed a unique, distinctive form of English and is rightfully proud of it. Scotland is ethnically a mix of ancient Britons and Gaels with a very strong element of Viking in the mix. The Irish Gaels brought their language and the Christian religion to Scotland. The ancient Brittonic dialects died out. 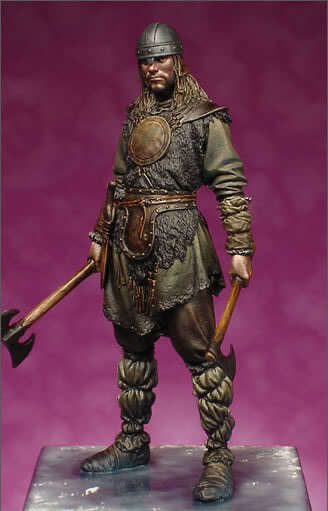 However, there is also a very strong Viking cultural influence. By the beginning of the tenth century AD, the Scottish tribes had adopted both the language and the Christian religion of the Irish Gaels. However, Scotland was developing a hybrid culture very strongly influenced by Viking settlers, both ethnically and culturally. Viking dialects were spoken on the far northern islands until fairly recently. The Scottish still celebrate this Viking connection today, e.g. the Up Helly Aa festival in Shetland. The Up Helly Aa festival in Shetland, Scotland. The Viking influence is celebrated in a very positive way. The Anglo-Saxon English were to lose their dominant position in Britain after the French Norman invasion in 1066, but at the beginning of the tenth century the English were at their strongest. Athelstan, the grandson of Alfred the Great, pushed the Vikings out of the northeast of England and thereby became the first true Anglo-Saxon king of all England. In 937 AD, Athelstan’s English fought a truly epic battle against a northern British-Gaelic-Viking alliance. This became known as the Battle of Brunanburh. In many respects it was a more important battle even than the Battle of Hastings in 1066. Two armies of at least 15,000 men faced each other. Nobody is really sure where the battle took place, but it was probably in northern England. The English claimed victory but both sides were exhausted and virtually destroyed by the end of the Battle of Brunanburh. The basic cultural identities of the participants were to live on, both sides having fought to a stalemate. The Celts-Vikings could not destroy the English, and the English could not destroy the Celts-Vikings, no matter how much both sides wanted to destroy the other. 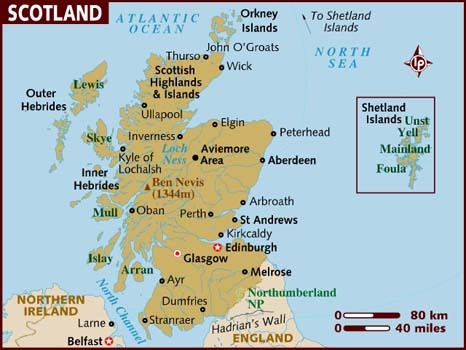 The English were established south of Scotland. The Scottish identity was also established, and they had to accept the presence of the English as their enemies on their doorstep. The English also had to accept that they were surrounded by people who would always regard them as enemies. Cultural identities were fixed hard and would never — and probably will never — really change.